Cynthia Ximena Prado Quiroga is the gender secretary of the New Republican Force party in Cochabamba, Bolivia. Since becoming a member of the party, she has run for the municipal council of La Paz and as auxiliary deputy in Cochabamba. She has held the positions of director of gender issues at the Vice Ministry of Gender and Family Affairs and national legal reform advisor. Prado Quiroga graduated from the Universidad Mayor de San Simَon in Cochabamba with a BA in political science and earned a Master's in law from the University of Chile. Audrey McLaughlin, former Member of Parliament and former President of the New Democratic Party Audrey McLaughlin was the first member of the New Democratic Party to represent the Yukon in the federal parliament, the first woman chair of the parliamentary caucus of any federal party in Canada and the first woman in Canadian history to lead a federal political party. McLaughlin was elected to the House of Commons for the Yukon in 1987 and re-elected in the general elections of 1988 and 1993. In 1988 she became chair of the caucus for the New Democratic Party, and in 1989, she was elected leader of the party. McLaughlin stepped down as leader in October 1995 and announced she would not seek re-election. She went on to become president of the Socialist International Women. In 1997 she was appointed special representative for the government of the Yukon on circumpolar affairs. 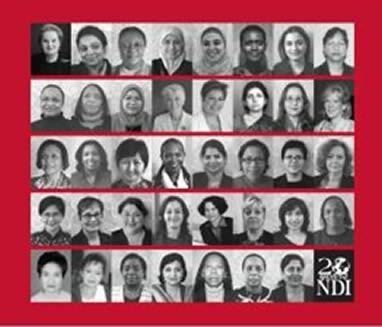 Currently, McLaughlin conducts political party training for NDI's programs in the Middle East and directs NDI's legislative programs in Bahrain. Julissa Hernandez of the Dominican Revolutionary Party is the coordinator of the Unit for Civil Society Relations of the Cabinet of the Dominican Republic, which coordinates governmental actions to reduce poverty. She was previously the coordinator of development projects for the Women's Foundation for Education, director of the Political Participation Area for the Center of Investigation for Female Advocacy (CIPAF) and project coordinator for CIPAF. Hernandez earned a law degree from the Autonomous University in Santo Domingo. Indranie Chandarpal is a member of the Guyana National Assembly, representing the People's Progressive Party. A party Central Committee member, Chandarpal currently serves as secretary general of the women's section and was previously active in the youth wing. From 1992 through 2001, she was a cabinet member, most recently the minister of human services and social security. Chandarpal is chairperson of the board of directors for both the Women's Leadership Institute and the National Commission on the Rights of the Child. She served as president of the Inter-American Commission on Women and attended the UN's Fourth World Conference on Women in Beijing. She holds a diploma in political science. Maria Eugenia Campos is an advisor on political reform, participation and democratic culture issues for the Mexican Governance Ministry. She previously served as an advisor to the Mexican Congressional Commission on International Relations and Border Issues. Since 1995 she has held the positions of assistant to the secretary general of the National Action Party (PAN) Chihuahua State Committee, coordinator for the secretary of studies, and secretary for youth action in the state of Chihuahua. As a participant in NDI's Leadership Program, Campos implemented a youth voter mobilization project in 1999, which resulted in increased youth registration within the party. She subsequently participated in President Vicente Fox's transition team on youth policy. She has represented the PAN in the annual seminar for youth leaders sponsored by the Christian Democratic organization in Santiago, Chile. Campos received her law degree from the Technological Institute of Monterey, Chihuahua Campus. Currently she is pursuing an MA in Latin American studies and government at Georgetown University. Lourdes Flores Nano is president of the Popular Christian Party in Peru and vice president of both the Christian Democrat and People's Parties International and its Latin American wing. In 2001 she ran for president of Peru under the National Unity Alliance of which she is also president. Flores embarked on her political career as a member of the Lima municipal council in 1986 and was elected to Congress in 1990. As a deputy, she was president of the Energy and Mines Committee and the Constitutional Committee. In 1992 she was recognized by the World Economic Forum as one of the 200 young leaders in the world. Flores holds a BA from the Pontificia Universidad Catolica, an MA from the Instituto de Empresa and PhD from the Universidad Complutense (both in Spain) and has taught at Pontificia and the Universidad de Lima. A practicing lawyer, she runs her own firm. Beatriz Merino Lucero is the prime minister of Peru, the highest-ranking position in Peruvian history ever held by a woman. Until recently, she was national superintendent of tax revenues and customs; she also served in the Congress (1995 to 2000) and Senate (1990 to 1992). Merino previously directed the Women's Leadership Program at the Inter-American Development Bank, which supports and finances projects to enhance women's leadership and representation in Latin America. Merino is the main partner at the law firm Estudio Merino & Reano,and has extensive experience in commercial, labor, corporate and environmental legislation. Merino is the first Peruvian woman to serve as a board member of the Commission of Andean Jurists. She has also been the director of foreign cooperation and of the Master's program on tax revenues and fiscal policies at Lima University. Merino graduated from the Universidad Nacional Mayor de San Marcos and received a Master's in law at Harvard University, and a degree in tax revenues and economics from the London School of Economics. Madeleine Albright served as US Secretary of State from 1997 to 2001, the first female to hold the office and the highest-ranking woman in US government history. Albright presided over an historic restructuring of US foreign affairs institutions to respond to 21st century threats, and brought efforts to improve the lives of women and girls into the mainstream of American policy. In 2000, Secretary Albright represented the US as co-convener of the first-ever world conference of democracies. Previously, Secretary Albright served as the US permanent representative to the UN. In 1995, she led the US delegation to the UN's Fourth World Conference on Women in Beijing. Secretary Albright began her government career with senior staff positions in the U.S. Senate and the National Security Council. Between her government posts, Albright was a professor of international affairs at Georgetown University and president of the Center for National Policy. Secretary Albright earned a BA from Wellesley College, and an MA and PhD from Columbia University. Madeleine Albright was one of the founders of the National Democratic Institute and its first vice chairman; she was elected NDI chairman in January 2001. Geraldine Ferraro earned a place in history as the first woman US vice presidential candidate on a national party ticket. She served in Congress for three terms and spearheaded efforts to achieve passage of the Equal Rights Amendment. From 1996 to 1998, Ferraro co-hosted CNN's Crossfire and currently is a political analyst for Fox News. In 1994 she was appointed the US ambassador to the UN Human Rights Commission and served as a public delegate to the 1993 World Conference on Human Rights in Vienna and vice chair of the US delegation at the UN's Fourth World Conference on Women in Beijing. Ferraro serves on NDI's board of directors and is a member of the Council on Foreign Relations. She also serves on the board of the National Women's Health Resource Center and the Board of Advocates of the Planned Parenthood Federation of America. Ferraro currently is executive vice president and head of the public affairs practice of The Global Consulting Group, a leading international investor relations and corporate communications firm. Ferraro earned a law degree from Fordham University and has honorary degrees from a number of universities. Nazma Akhtar, a member of the Awami League in Bangladesh, serves as convener of the Central Mahila Jubo League, the party's youth women league. A member of the Women's Entrepreneurs Association of Bangladesh, she is a director of Standard Foods, Ltd. and proprietor of the Srijon Boutique. From 1995 to 2000, Akhtar served as the organizing secretary of the Bangladesh Women's Sport Organization. Akhtar earned an MSS in sociology from Dhaka University, where she also held a number of positions in the student wing of the Awami League. Farida Khanom, a member of the Bangladesh Nationalist Party, is the secretary for female student affairs of the party's Student Central Committee. Khanom, who is currently pursuing an LLB, earned an MSS in political science in 2001 and a BSS in 1998 from Dhaka University, where she served as president of Rokeya Hall Students' Union and as a member of the Political Science Department's debating team. Tioulong Saumura has served in the parliament of Cambodia since 1998. As the chairperson of the Inter-ministerial Committee Against Money Laundering, Saumura drafted the anti-money laundering plan of action for the Cambodian government. After a 19-year career as an investment banker in France, she returned to Cambodia to help rebuild her country. In 1995 she founded the democratic movement that led to the creation of the Sam Rainsy Party, which is now a main opposition party in parliament. From 1993 to 1995, Saumura served as deputy governor of Cambodia's central bank and negotiated the first assistance program with the International Monetary Fund, thus facilitating the transition from a centralized to a market economy. Mu Sochua is Cambodia's minister for women's and veterans' affairs. She also currently serves as deputy secretary general of the National United Front for an Independent, Neutral, Peaceful and Cooperative Cambodia (FUNCINPEC) and is responsible for capacity building for women party members and candidates. When the Khmer Rouge seized power in 1975, Sochua left Cambodia to live and study in France and later the United States. She returned to Cambodia in 1989, when she first joined FUNCINPEC. She ran in the 1998 elections and won a seat representing Battambang, one of the most war-torn provinces in Cambodia. Sochua ran again in the 2003 elections, competing for a seat from Phnom Penh. She is involved in numerous civic activities focused on strengthening the rights of women, defending human rights, and preventing the trafficking of women and children. She has also been engaged in campaigns to end domestic violence and raise awareness about HIV/AIDS. Gefarina Djohan is a legislative candidate representing the National Awakening Party (PKB) in the 2004 elections in Indonesia. Currently she holds the office of deputy secretary general of the national office of the PKB and is fourth secretary of the central board of Muslimat NU, a major organization of Muslim women. She is active in many other women's organizations. Professionally, Djohan is a lecturer on politics at the Government Institute of Islamic Studies. Djohan has worked for UNDP-New Delhi and the Indonesian embassy in India. She earned an MA in political science from Jamia Millia Islamia University (New Delhi) and writes occasional articles for major Indonesian newspapers. Dwi Ria Latifa is a member of the People's Representative Council of the Republic of Indonesia (DPR-RI) representing the Indonesian Party of Struggle. In the DPR, she sits on Commission II, concentrating on law and home affairs. As a lawyer in private practice, she was a member of current President Megawati Soekarnoputri's legal defense team after Megawati was forcibly and illegally removed from her chairmanship of the Indonesian Democracy Party by then-President Soeharto in 1996. She is also one of the founders and general secretary of the Legal Aid Institute for Justice for Indonesian Women and one of the founders of the Indonesian Lawyer Union. Latifa continues to run her own law office and provides legal advice in several printed media. Sarita Giri is director of the Center for Women and Politics (CWAP) and spokesperson for the Nepal Sadbhavana Party Central Committee. Under the aegis of CWAP, a coalition of nine political parties is working to project and implement women's vision of a just, peaceful and democratic Nepal. As one of five members of a national task force entrusted with formulating policies and programs for the ongoing democratic movement, Giri is dedicated to combating both the violent Maoist insurgency and expansion of royalist powers. An Indian by birth, Giri earned an MA in political science in Nepal, her naturalized country. Chitra Lekha Yadav, the deputy speaker of the Nepal House of Representatives, is the highest-ranking woman in Nepali politics and the Nepali Congress Democratic Party. She was elected to parliament in May 1999 as the representative of an agricultural district in southern Nepal. Active in Nepal's women's movement and in the student movement for democracy during the Panchayat regime, Yadav served as an assistant lecturer of English at Tribhuvan University in Nepal before the 1999 elections. She has participated in international conferences on a variety of topics in Bangladesh, the United Kingdom and the United States. She has also shared her expertise with NDI's Political Leadership Academy in Indonesia. She holds a Master's Degree in English literature from Tribhuvan University. Fauzia Wahab was elected to the Pakistani National Assembly in 2002 and has been active in the leadership of the Pakistan People's Party (PPP). Since 1998 she has served as central coordinator of the PPP's Human Rights cell, the only internal organization headed by a woman. Before her election to the National Assembly, Wahab was a municipal councilor in Karachi and marketing manager at both Quality Systems, and Pakistan Industrial and Commercial Leasing, where she was in charge of the small and women's enterprises. In addition, Wahab serves as secretary general of PUKAR, a social welfare body working exclusively for women in distress, as chairperson of the Society for a Better Environment in Karachi, and as a member of the Legislative Watch Group, a subsidiary of the Aurat Foundation. She received a BA in international relations from Karachi University. Supatra Masdit has served since 1991 as president of the Center for Asia-Pacific Women in Politics, a regional NGO that promotes women's participation in politics. She was elected to Thailand's parliament seven times between 1979 and 2000 and was the first woman parliamentarian appointed to a cabinet position. While serving as minister to the prime minister's office, she spearheaded the formation of a permanent National Commission on Women's Affairs as well as the Public Information Office. She was also a member of the National Social Policy Committee where she focused on community empowerment for sustainable development. As a social advocate, Masdit co-founded the Creative Media Foundation in 1991 and served as its president until 2002. For the UN's Fourth World Conference on Women in Beijing, Masdit also served as convener of the NGO Forum. In 1989, His Majesty the King of Thailand bestowed on her the honorific of "Khunying," a prominent title of distinction, in recognition of her public and social service. Center for Asia-Pacific Women in Politics. Annemie Neyts-Uyttebroeck is currently president of the Liberal International, an organization with which she has had a long association, having previously held the posts of deputy president, vice president and treasurer. She is currently a member of parliament from Belgium and president of the Foreign Affairs Committee. In 2000, she became deputy foreign minister for external trade in the federal government of Belgium. She served as a member of European Parliament from 1994 to 1999 and has remained active in regional politics to date. From 1985 to 1989, she was president of the Flemish Liberal Party and has since served as the party's honorary chairperson. From 1981 to 1985, Neyts-Uyttebroeck was secretary of state for Brussels, and from 1973 to 1975, deputy chief of cabinet of the governor of Brabant and press attache to the minister of justice. She earned a university degree in French and secondary school teaching, which was her first career from 1966 to 1973. Karolina Leakovic is the secretary general of the Women's Forum of the Social Democratic Party (SDP). From 1994 to 2000, she worked as a journalist for regional daily newspapers and since 1999 has been writing for SDP's bulletin SDP Info. In 2000, she started working at the SDP Secretariat as an assistant and was elected secretary for public relations by SDP's main board in 2001. Leakovic has been an organizer in several SDP campaigns and has participated in a series of political trainings with NDI and the Alfred Mozer Foundation in addition to attending a summer school conducted by the Party of European Socialists and an election study program organized by the British Labour Party. She has also served as a trainer for NDI in Macedonia. 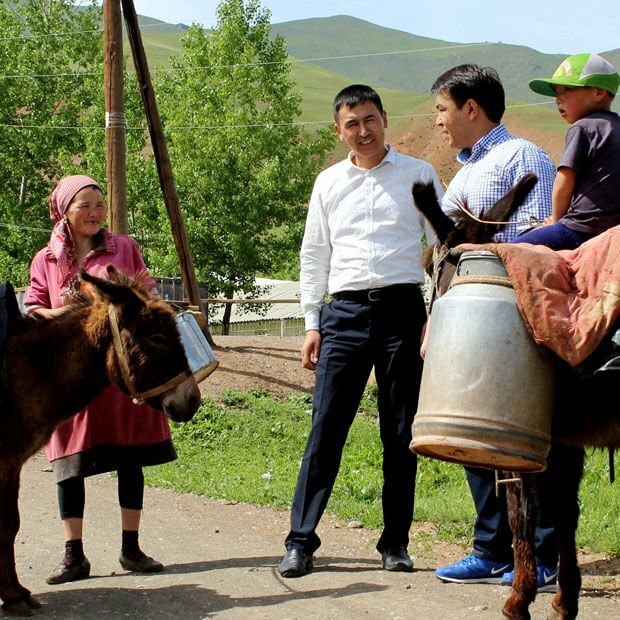 Tolekan Ismailova is executive director of the Democratic Development Foundation, a newly formed NGO with representation from all Kyrgyz political parties. She is executive director and founder of Civil Society Against Corruption and has been politically active in Kyrgyzstan since late Soviet times. She began her civic activism at the grassroots level when she engaged the Bishkek local government to provide better ser-vices to the disabled, single families and street children. In the post-Soviet era, Ismailova worked as a civic education trainer and helped establish the Coalition for Democracy and Civil Society, a network of 168 non-governmental organizations and 500 activists from throughout Kyrgyzstan. 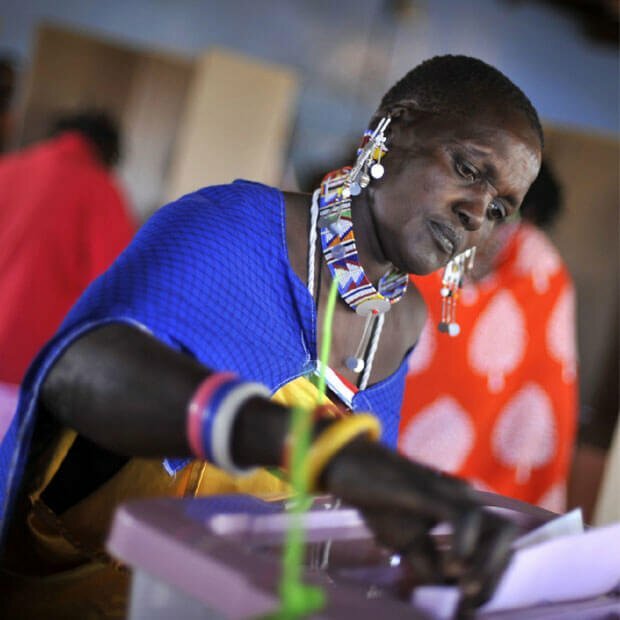 The Coalition focuses on the expansion of civic education and advocacy; development of independent, transparent and democratic election systems; and participation in government structural reform. Ismailova studied foreign languages at the Kyrgyz National State University and was a Reagan-Fascell democracy fellow at the National Endowment for Democracy in 2002 and 2003. Slavica Grkovska was elected to parliament in 2002, where she serves as deputy caucus chair for the Social Democratic Union of Macedonia (SDSM), and a member of the Committee on Education, Sport and Science and the Committee on Foreign Affairs. In addition, Grkovska is president of the Parliamentary Group for Cooperation with Great Britain and Northern Ireland. She has been active in the SDSM since 1990 and was one of the founders and president of the youth organization. Since 1998, Grkovska has been a member of the presidency of the party's Central Committee. After spending four years on the Skopje city council, Grkovska ran the election headquarters for Electoral District 62 during the 2000 local elections. She graduated from the Institute of Mathematics of the Faculty of Nature and Sciences in 1992 where she was also a junior teaching assistant. Maria Leissner has served as Swedish Ambassador to Guatemala, Belize and Honduras since December 2000. From 1995 to 1997 she was chair of the Liberal Peoples Party. Aicha Belhadjar has been politically engaged for nearly two decades as both a political party and civil society activist. A member of the Movement for a Peaceful Society national leadership, she serves as national secretary for women and family affairs and as a member of the party's 190-member Madjlis Ech-Choura (consultative council). From 1997 to 2002, Belhadjar represented the province of Oran in the Algerian parliament, eventually serving as vice president of the legislature. 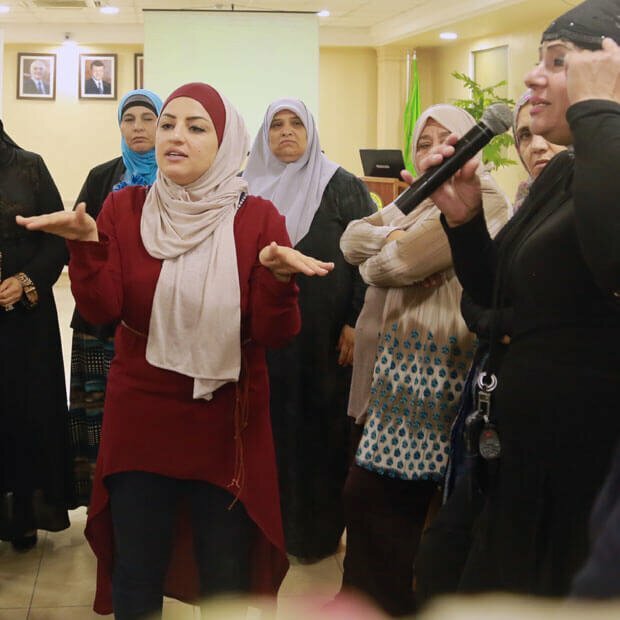 Belhadjar is president of the Oran Women's Club, an association that brings together women from different political tendencies to foster greater women's participation in politics and the labor force. She is also an active member of the charitable association El Irchad oua el Islah. She holds a Bachelor's degree in law and Islamic law. Samia Moualfi was elected to the Algerian parliament in 2002, representing the province of Bejaia. In parliament, she has served on the Judicial Affairs Committee. In 2003, she was elected to the Central Committee of the National Liberation Front (FLN), the party's highest decision-making body; she had previously served as vice president of the FLN party caucus. An attorney, Moualfi is a member of the Algiers Bar Association and Algerian Lawyers Union. She earned her Bachelor's and Master's in law from the University of Algiers. Soumaia Benkhaldoun, a member of the Justice and Development Party, serves as a member of parliament in Morocco and sits on the Finance Commission in the House of Representatives. Benkhaldoun, a dedicated social activist, is heavily involved with a number of associations that address issues related to women and youth. Benkhaldoun is the president of the Mountada Azzaha for Moroccan Women, as well as a member of the Mawadda Association, which is concerned with the education of rural girls. Benkhaldoun also works with the Moroccan Association for a Better Life, which helps children with mental difficulties, and the Moroccan Association for the Protection and Education of the Family. She has a PhD in engineering information systems. Teninke Dioubate is a member of the national executive office of the Union of Republican Forces, where she is responsible for social affairs. Dioubate, a civil administrator by profession, also serves as both the secretary in charge of the administration of the Women in Political Parties network and the deputy president of AFESI Guinea, a non-governmental organization that offers support to women in the informal economic sector. Jeanne Claude Wilkinson, a member of the National Assembly in Guinea, has served in the First, Second and Fifth Legislatures. A founding member of the Unity and Progress Party in Guinea and a teacher by profession, Wilkinson has held positions as the commissioner of social affairs, and secretary and vice president of the Transportation and Installation Commission. During her tenure as secretary of the National Assembly and as a member of the Office of the National Assembly in Guinea, Wilkinson was sent on missions to Angola, the Democratic Republic of Congo, France, Mauritania, Tanzania and the United States. As part of her parliamentary responsibilities, Wilkinson has attended seminars in Conakry on the rights of children, the laws of regulation and the rights of deputies. Alice Sumani is minister of gender and community services. She was first elected to the National Assembly from Machinga Cental Constituency in 1994 on the United Democratic Front ticket. During her two terms, she has served as minister of labour and vocational training, minister of poverty alleviation, deputy minister of natural resources and environmental affairs, and vice chairperson of the committee of women and children affairs. Before entering parliament, Sumani was for many years a social worker in the civil service, which provided her with intimate knowledge of village life, and the challenges facing women and other vulnerable groups. Fanta Mantchini Diarra is a member of the National Assembly of Mali, elected in Commune V of the Bamako District in 2002. Diarra was a founding member of the National Congress for Democratic Initiative, created in May of 1996 and is currently vice president of the party after having served as president and secretary of the Women's Central Committee. She is also vice president of the parliamentarian group Friendship Mali-USA and is a social administrator by profession. Kane Nana Sanou is secretary for external relations of the Movement for the Independence, Renaissance and Integration of Africa in Mali, and permanent secretary of the African Women Ministers and Parliamentarian Network. She took part in the rise of the ADEMA democratic movement in the early 1990s and was elected to a five-year term in the National Assembly in 1992, eventually serving as the legislature's vice president. Sanou practiced medicine for three years in Kati and worked for several pharmaceutical laboratories. She holds a midwife degree obtained while on scholarship in the Soviet Union. Temi Harriman was recently re-elected to the Nigerian House of Representatives where she serves on the Petroleum Resources, Defense and Judiciary Committees. Now a member of the ruling People's Democratic Party, Harriman was affiliated with the All People's Party during her first term. Before running for office, Harriman was a businesswoman in real estate and petroleum. She has been a member of the Nigerian Bar Association since 1984 and the English Bar since 1989. Harriman received a BA in anthropology from Queens College, and an LLM and MBA from the London School of Economics. Aminata Kasse is president of the Senegalese Council of Women, a multipartisan organization that promotes and reinforces women's political rights. She is also president of the Democratic Union of Senegalese Women and a member of the political office of the Independence and Work Party. Having served in the National Assembly in 2000 and 2001, Kasse has been a municipal councilor in Dakar since 1996. Kasse participated in the UN's Fourth World Conference on Women in Beijing, Beijing+5 in New York, and the 2002 forum of the Association for Women's Rights in Development in Guadalajara, Mexico. She taught Spanish in Dakar for 17 years and earned an MA from the University of Paris X-Nanterre. Zainab Bangura is the leader of Sierra Leone's youngest political party, the Movement for Progress, and contested the 2003 elections as the party's presidential candidate. She co-founded the Campaign for Good Governance, the country's foremost civic organization working on issues related to human rights, democracy, corruption and governance. Bangura also led the pro-democracy movement in Sierra Leone that forced the military junta to conduct the country's first democratic elections in three decades. Bangura has served as a board member of both national and international organizations that promote democracy, and is a member of the World Movement for Democracy and the African Forum for Democracy. She has received numerous awards both locally and internationally for her work in the promotion of human rights in Sierra Leone. She is a graduate of Fourah Bay College University in Sierra Leone, Nottingham University and the City University Business School (both in UK). She is currently a Reagan-Fascell democracy fellow at the National Endowment for Democracy. Winnie Byanyima has been a member of the Ugandan National Assembly since 1994 and is a founder of the Assembly's women's caucus. She participated in the writing of Uganda's 1994 constitution and has been involved in a number of political projects, from reaching out to gender-sensitive males to publishing a journal assessing women's rise to power. She founded the Forum for Women in Democracy a national NGO, where she developed various effectiveness training and advocacy programs for women leaders and for gender mainstreaming. Although instrumental in the transformation of the National Resistance Movement into the government following years of civil war in the 1980s, she has since become a leader of the opposition Reform Agenda. She has served on many international boards and committees and is currently a member of the UN Millennium Development Goals Task Force on Gender Equality and Education and the Boards of the US-based International Centre for Research on Women (ICRW) and the African Capacity-Building Foundation (ACBF) in Harare. Winnie recently co-authored a handbook for the Inter-Parliamentary Union (IPU) on Parliaments and the Budget process and Gender. She has an M.Sc in Mechanical Engineering and a B.Sc in Aeronautical Engineering from Manchester University (UK).